1. 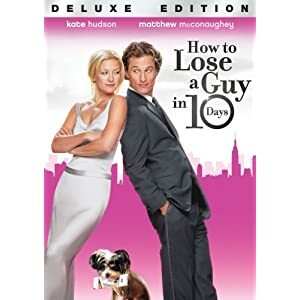 How to Lose a guy in 10 days- A fun chick click about a girl who decides she is going to make a guy fall in love with her in 10 days, and then break his heart. Really fun, romantic and sweet. Rated PG-13. 2. Mean Girls-A teenage drama about the new girl fitting into the "in crowd" while being undercover with her unpopular friends, while actually becoming one of the popular teenagers. PG-13. 3. 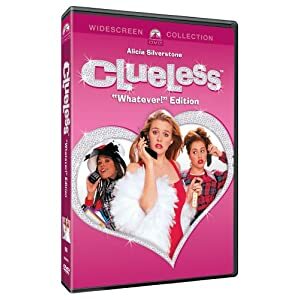 Clueless- This is a very funny chick flick about a rich, popular fifteen year old girl who decides she is going to do some good and help her friends find a boy,while also finding one for herself. Rated PG-13. 4. Legally Blonde-A must see for all girls!! It is such a fun movie about a beautiful blonde who decides to go to Harvard law school to win her boyfriend back!! Very fun movie with a great message. Rated PG-13. 5. Miss congeniality-One of my favorite chick flicks. Sandra Bullock is so funny in this one, and there is also a followup. This movie is about an agent who is sent undercover at Miss USA as New Jersey to uncover a case . Really fun movie, and a love story in between. Rated PG-13. 6. My Best Friends Wedding-One of my favorite chick flicks of all time. It is about a girl who is in love with her childhood best friend, and wants to break up his wedding because she wants to marry him. Such a fun sweet movie with a lot of tender moments.Rated PG-13. 8. Bridget Jones Diary-A fun movie that talks about all the pressures and feelings that a woman goes through dealing with boys,and their own self-esteem.Also, a good idea is to see the follow up Bridget Jones Diary-The Edge of Reason. Rated PG-13. 9. Bring It On-A fun high school drama that involves cheerleading, girlfights, and boys! Rated PG-13. 10. The Devil Wears Prada- This is a great chick flick, especially for girls who love fashion. This movie has it all, boys, fashion, and drama! Rated PG-13. This Section of the website is especially designed for us girls. All girls love a good Chick Flick, and these are so much fun to watch with your friends. I love Chick FLicks, and I know most girls do too. I hope these are a few good ideas of movies to watch, and that it makes you relax, laugh, and unwind.